Being the third largest coin by market capitalization XRP with its price movement without a doubt it impacts to a certain range the outcome of a day’s market trading. While battling to stand above $0.5100 against the USD, the speedy coin took a speedy deep dive on the 6th of October and dropped to $0.4900. For the time being it is in the 8.50 negative within the last 24-hours reaching the $0.4730 mark. If looked at the last 7 days of all coin’s trading throughout the market, there are various yet similar charts showcased by the pairs. 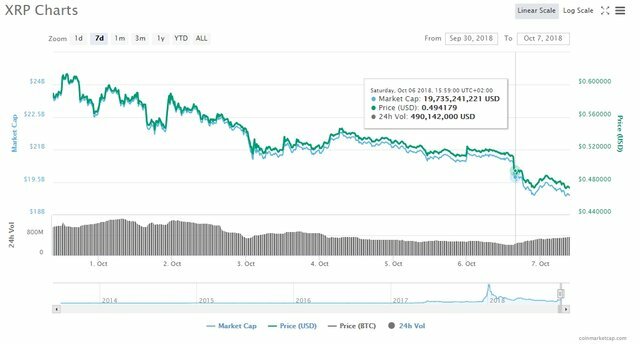 Stellar (XLM) followed XRP’s decline pattern but withstood to an extend the drop on Oct 6th as the $0.24000 support held its position. Per time of writing the pair XLM/USD is range bounding between $0.2300 and $0.4100 out of which everything can happen. The two contenders when it comes to very fast and efficient payments done in cross-border range do follow each other’s movement as it has been reflected to us viewers/readers in the past weeks. A leading Palo Alto-located cryptocurrency-related startup has announced that it will be adding Dash’s DASH and Stellar Lumens XLM among the coins it delivers as custodian solutions for. Known for being very selective in the process by which Palo Alto chooses the cryptocurrencies, signal how practical both the coins are. Speaking for Fortune’s Balancing the Ledger, Mike Belshe – BitGo’s CEO and Founder announced the development. The CEO highlighted that the listing came as a results of both coin’s uniqueness and feature’s they offer. 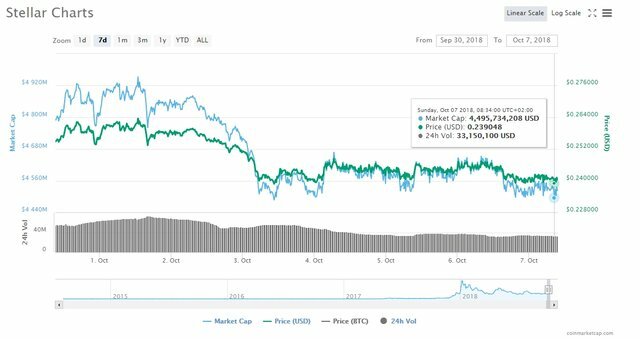 The post Stellar Lumens (XLM) Follows Ripple’s XRP Price Decline: BitGo to List XLM & Dash appeared first on Ethereum World News.